ned's blog - Prey demo server. Prey is a First Person Shooter which combines authentic Cherokee mythology and science fiction bringing with it some unique features. Spirit walking, wall walking and gravity flipping make the multiplayer deathmatches (and singleplayer mode) very interesting. Spirit walking - Using the Power of the ancient ancestors you can leave the body in spirit form. Spirit mode allows travel while invincible. A Spirit Bow is the only available weapon during this time and is very powerful. However! your physical body remains vulnerable ie. defenceless! Wall walking - Wall walk surfaces allow you to traverse walls and ceilings creating a unique style of fighting. Gravity flipping - Jumping while on a 'wall walk surface' will cause a gravity flip meaning the previous floor is now a ceiling or wall. Also, within the game, automatic gravity flipping zones exist. Good luck if you suffer from vertigo! Wrench - Pipe wrench, used as a melee weapon. Holding primary fire swings it back and forth quickly, while holding secondary fire brings it above the head for a more powerful strike. Rifle - An automatic weapon which fires bolts of energy at a medium rate. Secondary fire causes an appendage to emerge from the weapon and attach itself to the carrier's eyeball, augmenting vision with a zoomed-in "scope" view. The zoom can be further magnified. In this mode, enemies glow brightly. While zoomed, the Rifle fires only single shots which are much more powerful and use more ammo. 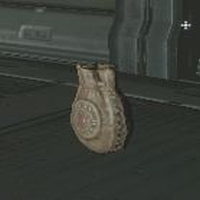 Crawler - Small, 3-legged crab-like creatures which are found in various parts of the maps. Can be used in two ways: by ripping off all of its legs and throwing the abdomen, it becomes like a grenade which explodes after a couple of seconds. 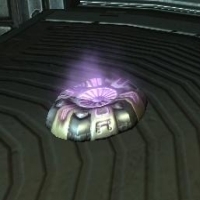 Ripping off just one leg and throwing will make the crawler become like a proximity mine; attaching to whatever surface it lands on and exploding when a creature comes near. Pressing secondary fire makes Tommy flip the Crawler over to select which way to use it. � Lightning (white sparks): fires a bolt of electricity - one or two shots kill most enemies, but "ammo" is more limited than with other types. Auto Cannon - A rapid-fire, multi-barrel machine gun complemented with a secondary fire which lobs grenade-like orbs from an orifice above the gun barrels, exploding on impact. Continuous use of the primary fire will make the gun overheat and stop firing for a moment until it cools down again. Acid Sprayer - Created by the friendly Hiders. A shotgun-style weapon which sprays acid rather than buckshot. The primary fire is deadly at close range, but much less effective at further distances. The secondary fire launches the entire vial of acid, which can be lethal if the shot hits its mark. Skillfully-aimed shots with the secondary fire can be rebounded against walls and around corners and so on. Launcher - An RPG-type weapon with Crawlers used as the ammo (although this is not shared with the individual Crawlers that are used as hand grenades). Primary fire shoots in a straight line to the target, exploding and causing damage in a large radius. Secondary fire vaporizes the Crawler into a lingering cloud of acid, effectively creating a shield in front of Tommy which dissolves any projectiles that come into contact with it. 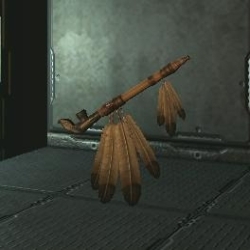 Spirit Bow - This is the only weapon available while spirit walking. Its ghostly arrows are powerful and effective over a long range, but with a relatively slow firing rate. Health Spores - gives health up to 100 points max. Medicine pouch - adds time availability to spirit mode (spirit energy). Pipe (superhealth) - adds 100 health points (can go above the standard max of 100). mode options: Deathmatch and Team Deathmatch. map options: Keeper Gravity and Salvage Walk. � Prey SP & MP demo can be downloaded from the offical site. Putting together dedicated online game servers is a hobby of mine. Most of the servers listed in this blog are run from one of my home connections and are fired up by request. I can be contacted via this blog or at theoldergamers.com (Ned). Home IPs are dynamic. Welcome to my blog :) My hobby is to put together online game servers. This site provides all the information about my servers and mods plus more in the one easy to navigate place. The front page is a chronological account of my workings, server updates and gaming news while the static pages hosts full details of each server/mod. Other things will be posted on occassions but it'll mainly be gaming related. what is World of Warcraft? [GTR] all GTR content now in the blog, plus more!